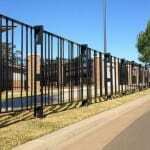 Pedestrian Fencing is used as a safety barrier to channel pedestrians and provide site security and safety. 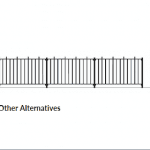 Pedestrian Fencing features an anti-climb design and is engineered to withstanding impact loads. 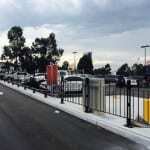 Available in steel, Pedestrian Fencing provides an economical, durable and aesthetically-pleasing solution for a variety of applications where pedestrian safety is the primary objective.